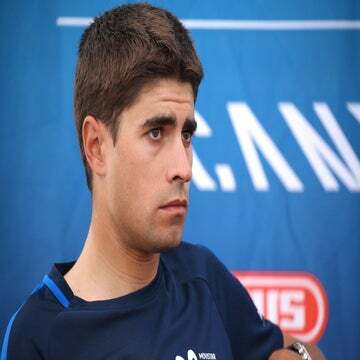 Spaniard Mikel Landa was ruled out of the Vuelta a España on Sunday after suffering a broken vertebra in a crash. Mikel Landa has been released from a hospital Sunday following a crash at the Clásica San Sebastián, his Movistar team said. Despite a fractured vertebra, his team says he may still race the Vuelta a España. The Spaniard was aiming to race his home tour, which runs August 25 through September 16. 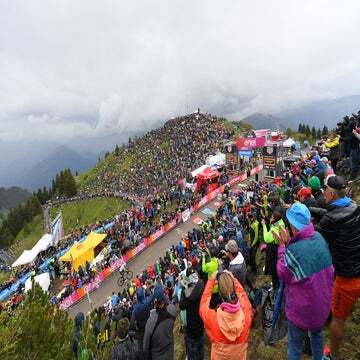 Landa was one of several riders caught up in the pile-up less than 20km from the finish, which saw Team Sky’s young Colombian hopeful Egan Bernal suffer injuries to his face. Julian Alaphilippe (Quick-Step) went on to win San Sebastian, out-sprinting Bauke Mollema (Trek Factory Racing). Landa was diagnosed with “non-displaced fracture of the spinous process in his lumbar vertebra L1,” his Movistar team confirmed. He was conscious and in stable condition throughout the aftermath of the crash. Medical staff immobilized him with a neck brace. He was taken to Donostia Hospital for examinations. Movistar’s press statement said that he will require two to three weeks of rest to heal. Despite that long layoff, he has not been ruled out of starting the Vuelta, his team confirmed on Sunday. The 28-year-old Basque had targeted victory in the Vuelta after failing to podium at the Tour de France, where he finished seventh overall behind Welsh winner Geraint Thomas. 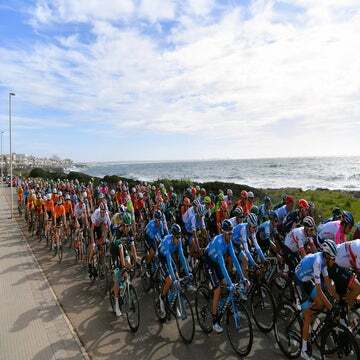 His teammates Nairo Quintana and Alejandro Valverde — both former winners of the Vuelta — are also expected to target the three-week Spanish grand tour.